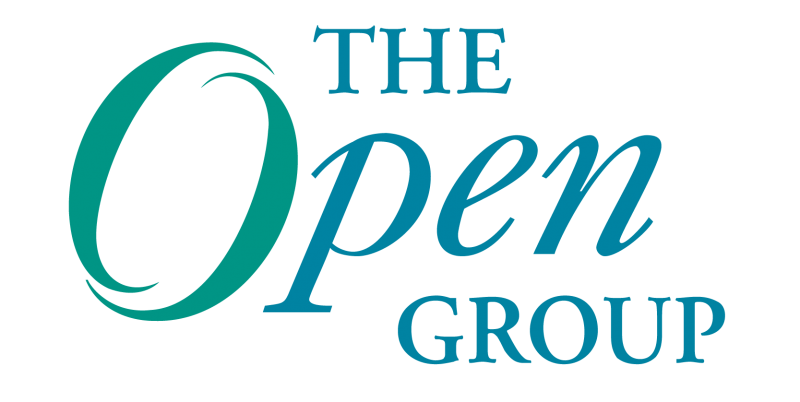 A packed agenda drew over 125 delegates to The Open Group Johannesburg Conference on 17 March 2015, the seventh to be hosted by The Open Group South Africa. The theme this year was “The State of Enterprise Architecture Globally” which explored the transformative benefits of EA and how to reach the ultimate state of “business-focused, sustainable EA” through a series of presentations, discussions and an exhibition. Conference exhibitors Avolution, Troux and BIC Platform showcased their Enterprise Architecture tools at the event. Avolution gave delegates a preview of the new release of the flagship toolset ABACUS 4.4. It’s not hard to see why Enterprise Architecture is capturing the attention of business and technology professionals. Keynote speaker and The Open Group President & CEO Allen Brown pointed out that vehicle manufacturer Nissan attributes more than $1-billion in savings to Enterprise Architecture over a 10 year period. Brown drew attention to The Open Group vision of Boundaryless Information Flow™, which enables the breakdown of barriers to create a cross-functional organisation. He also noted that Enterprise Architecture is not a technologically-driven conversation; instead, it must be aligned with the customer journey. “The organisation needs to learn more about people so as not to segment, since people are not ‘one size fits all’; business architecture, as a component of Enterprise Architecture, helps with understanding the customer journey,” he said. Brown noted growth in successful implementations of EA around the world, including the remarkable case of Nissan. The carmaker faced challenges familiar to many technology professionals in large enterprises: multiple demands to align IT with business, the necessity to document rapidly changing information, and standardise processes. Nissan applied EA to create a comprehensive, readily accessible view of its technology environment. Closer to home, Brown said Sasol is a local case study which shows the capabilities which flow from an EA implementation. It’s not only corporations that benefit; skilled individuals are making their mark, too. “Enterprise Architects are in high demand around the world and it’s one of the highest paid skills,” he added. In addition to Brown’s keynote address, presentations by Paul van der Merwe, Enterprise Architect, Nedbank and Vusi Mdlalose, head of Reference Architecture and Tooling for the Barclays Africa Group, provided direct insights into how South African companies are harnessing the power of EA – and the TOGAF® and ArchiMate® standards (both Open Group standards) – to achieve predictable outcomes from complex technology environments. Vusi Mdlalose’s talk gave insight into how ArchiMate informed the building and implementation of their meta model, and how they then built their architecture reference models and underlying architectures. And, taking delegates outside of technology to consider the psychology of change, Real IRM’s Joanne Macgregor, Specialist Consultant and Trainer, presented on the necessity for effective change management as an integral part of EA implementations. Her aptly named presentation title, “You can lead a horse to water…” explored how many EA implementations do not succeed in realising their full potential due to a failure in managing the “fuzzy” human aspects of organisational transformation. James Thomas, Lead Enterprise Architect at the South African Reserve Bank, took a different approach in his presentation titled, “The state of Enterprise Architecture globally”. The afternoon plenary included a presentation by Louw Labuschagne, Managing Partner, CS Interactive, who gave an overview of the Skills Framework for the Information Age (SFIA) and showed how the adoption of this framework is impacting the definition of Enterprise Architecture (EA) skills. “It’s the networking at events like these that are ten times more valuable than anything else,” concluded Brown. Stuart Macgregor, CEO of The Open Group South Africa, is also the Chief Executive of the South African company, Real IRM Solutions. Through his personal achievements, he has gained the reputation of an Enterprise Architecture and IT Governance specialist, both in South Africa and internationally. Macgregor participated in the development of the Microsoft Enterprise Computing Roadmap in Seattle. He was then invited by John Zachman to Scottsdale, Arizona to present a paper on using the Zachman framework to implement ERP systems. In addition, Macgregor was selected as a member of both the SAP AG Global Customer Council for Knowledge Management, and of the panel that developed COBIT 3rd Edition Management Guidelines. He has also assisted a global Life Sciences manufacturer to define their IT Governance framework, a major financial institution to define their global, regional and local IT organizational designs and strategy. He was also selected as a core member of the team that developed the South African Breweries (SABMiller) plc global IT strategy. Stuart, as the lead researcher, assisted the IT Governance Institute map CobiT 4.0 to TOGAF® . This mapping document was published by ISACA and The Open Group.